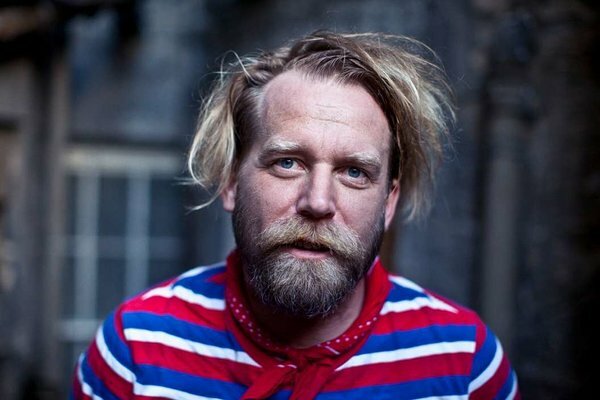 Canadian surrealist and master story-teller Tony Law is a three-time Chortle Award winner, Amused Moose Best Show winner and Fosters Edinburgh Comedy Award nominee. Tony’s style is hard to describe and it doesn’t fit into any boxes or classifications. If you’d like to expand your understanding about comedy (and to have a good laugh), come see him at the festival. A journey through the side and under-mind. Cold fresh pillow. Come! Under radar fresh for you. Tony doesn’t have the vocabulary or word-learning to express the powerful towering healing depths of the ancient soul unity snap. Watch him and through laugh – rise, happier. You cry, with laugh. 'What was that?' 'I loved that'. Then you smile to self. 'Tony, you grande dickhead you making me thinking while you do 'up' voice shouting 'n' clownsabout and, somehow, through idiocy and bones of funny – Tone, I know what you mean'. He’s funny of a kind.